Apple has announced that its flagship Regent Street retail location in London, England reopens Saturday, October 15 at 10:00 a.m. local time, following over one year of major renovations. Apple contracted award-winning architecture firm Foster and Partners to design the layout of the new store, which initially remained open for business at the basement level but has been fully closed since June 13. MacRumors exclusively reported on the remodeling plans last year, including the removal of four Apple logos affixed to the store’s facade in order to allow more natural light inside and preserve the historic look of the building. 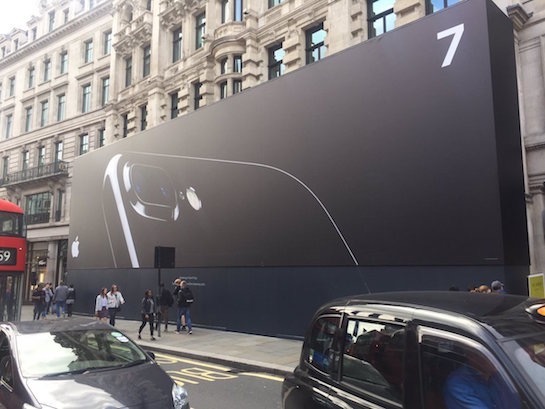 Like other renovated stores, Apple Regent Street will feature Apple’s next-generation retail design. Apple Regent Street opened in 2004 and attracts over 4 million visitors per year. The iconic store expanded two years later to become Apple’s largest at the time. Apple has contracted Foster and Partners for several other projects in recent years, including the design of its Campus 2 and Apple Union Square. Posted on October 3, 2016, in #international, #retail, Other. Bookmark the permalink. Leave a comment.